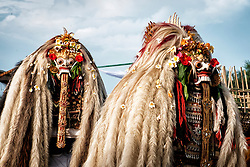 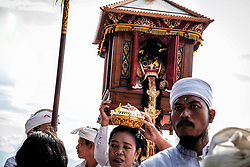 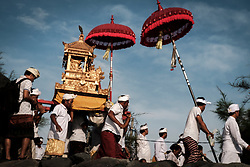 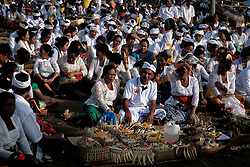 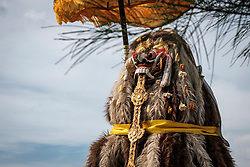 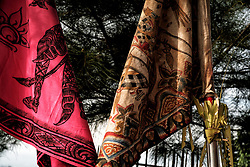 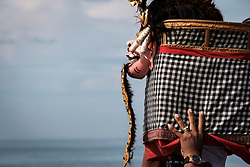 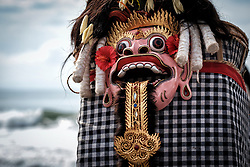 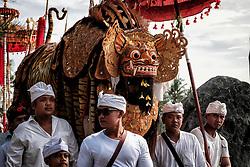 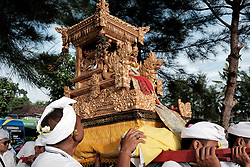 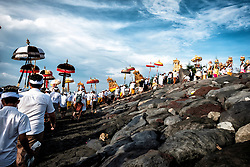 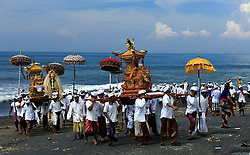 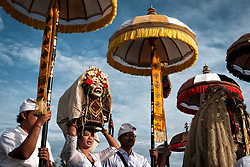 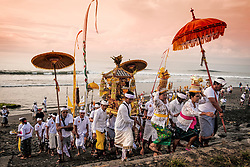 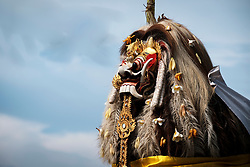 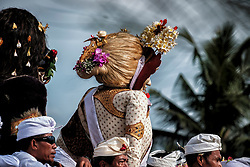 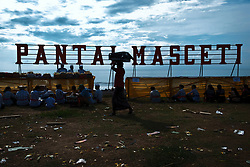 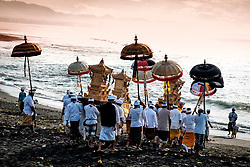 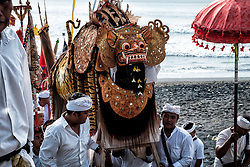 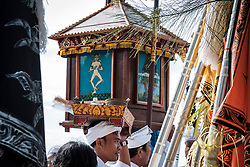 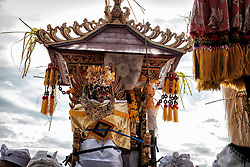 Melasti is a Hindu Balinese purification ceremony several days before the Balinese New Year Nyepi. 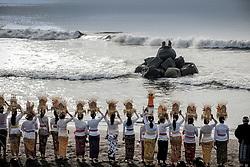 The ritual is carried out to cleanse the world from evil and bad karma by means of holy water from the ocean or a river leading to the sea. 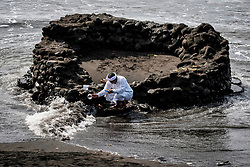 The aim is to purify yourself of all bad things and throw them into the ocean. 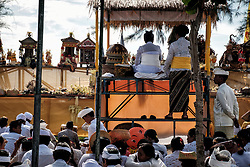 Prayers and priests and villagers and all their sacred temple objects and statues go to be purified.